ESRI® ArcIMS® is an Internet Map Server software that facilitates authoring of maps, designing of Web sites using them, and their publication on the Internet. Its distributed architecture offers customization of server, plugability of components, scalability, load balancing, and fail over/recovery and facilitates 24x7 operations. This paper describes the architecture of ArcIMS 3, its components, and some of the live Web sites that use it. 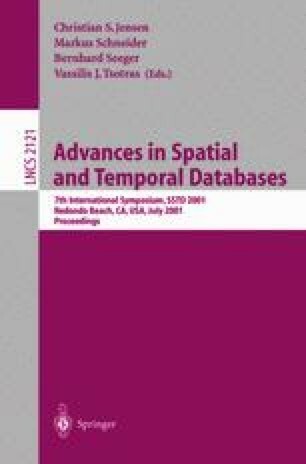 The paper also discusses some considerations for the next version of ArcIMS. Combs, J. (1996). “N-Tier vs.2-Tier Client-Server Architectures.” http://www.ilt.com/AEDIS/Ntier/index.html. ESRI (2000). ArcXML Programmer’s Online Reference Guide. http://arconline.esri.com/arconline/documentation/ims_/WebHelp/ArcXMLGuide.htm. Franks, J., P. Hallam-Baker, J. Hostetler, S. Lawrence, P. Leach, A. Luotonen, L. Stewart (1999). HTTP Authentication: Basic and Digest Access Authentication, RFC 2617 (http://rfc.fh-koeln.de/rfc/html/rfc2617html). OpenGIS (2000). OpenGIS Web Map Server Interface Implementation Specification. Revision 1.0.0, April 19, 2000, http://www.opengis.org/techno/specs/00-028.pdf.